Calling the mission “a challenging but attainable goal for advancing human experience and knowledge,” Tito announced his plans today at the National Press Club in Washington, DC. The mission is based on a trajectory discovered in the 1990’s and refined recently by Tito, a former JPL rocket scientist who later founded the investment firm of Wilshire Associates and created the Wilshire 5000 stock index. 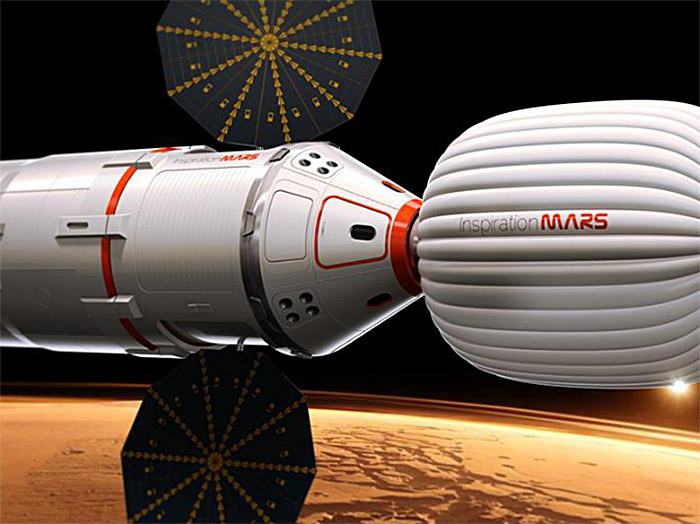 The proposed trajectory would allow the Inspiration Mars Foundation to launch a two-person American crew — a man and a woman — on a 501-day mission to Mars. The mission would pass within 100 miles of the Red Planet’s surface and requires only minor midcourse corrections, as well as a slingshot maneuver around Mars to return the mission to Earth. 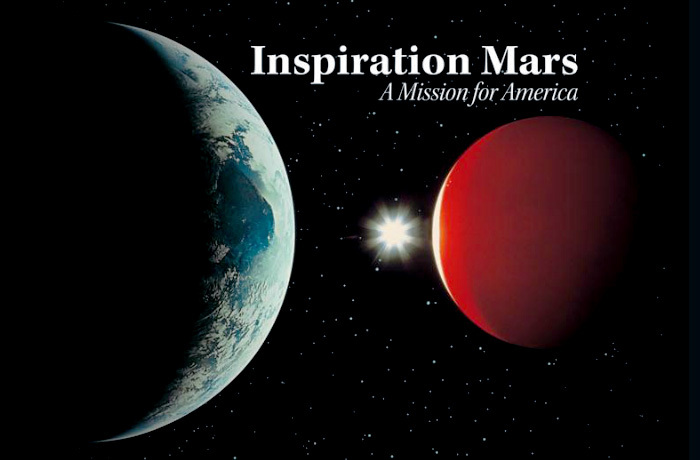 Tito has committed to funding the Inspiration Mars Foundation for the next two years out of his own pocket. The Foundation needs to raise more money for the launch and other expensive procurement, which occurs after 2015. Tito declined to estimate how much that would cost but said the cost would be closer to a Low Earth Orbit mission than a traditional interplanetary mission. 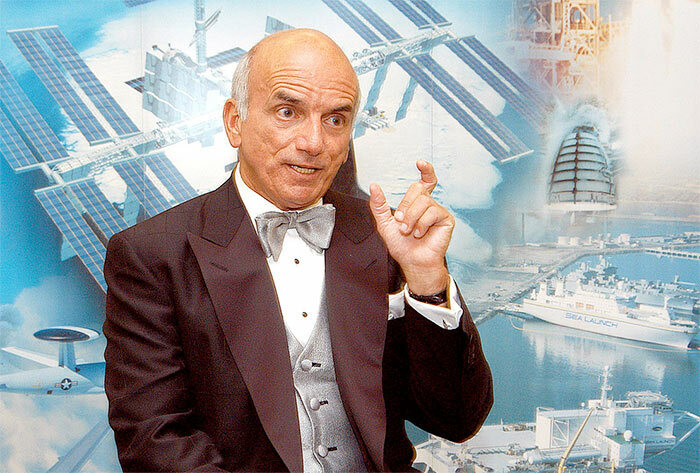 Tito has assembled a team that includes Taber MacCallum, chief technology officer and CEO of the leading space life-support company, Paragon Space Development Corporation; and Jane Poynter, president and chairwoman of Paragon Space Development Corporation; former NASA flight surgeon Dr. Jonathon Clark; and former NASA associate administrator for human spaceflight Joseph Rothenberg. MacCallum, Poynter, and Clark also spoke at the press conference. Taber MacCallum described the plan as a Lewis-and-Clark mission, which is designed for simplicity. To reduce cost and maximize the probability of mission success, automation would be kept to a minimum. Instead of relying on automation, the crew would repair and refurbish systems as necessary. All equipment would be designed for servicing inside the vehicle, without need for EVA. MacCallum said the baseline life-support concept was derived from ISS technology, augmented by simpler, more robust technologies now being developed by NASA. The launcher and capsule for the mission has not yet been chosen, but there are a variety of options available from companies including SpaceX, Boeing, and Lockheed. Some options would require two launches; others would require only one. Inspiration Mars Foundation is working with NASA through a reimbursable Space Act Agreement between Paragon Space Development Corporation and NASA Ames Research Center, under which Ames will help conduct thermal protection system and technology test and evaluation. I’m from the sputnik generation and have followed the space program since childhood. As a physician scientist with the ability to think outside the box, I would welcome with great enthusiasm and vigor, any offer to contribute and donate my time for this amazing project.Best of luck! !